The L rods have a distinct advantage in fieldwork on physical or material objects, as they are more resistant to wind or body movement than the pendulum. The L rods usually require body motion such as walking to achieve a reaction. Forked Stick/wire – Are similar to the L rods in capability and use. The Forked instrument can be made out of wood, wire or plastic. 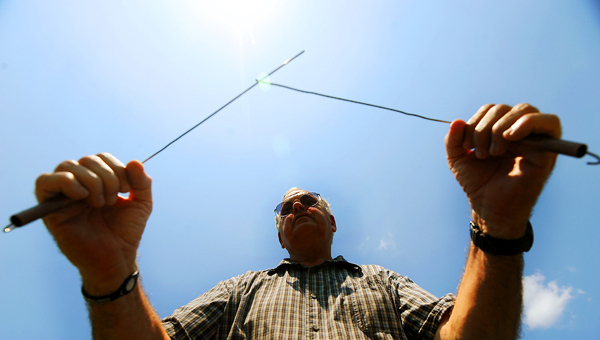 The size of this instrument is usually about 400 – 500 mm long, but small 150-mm instruments can be used for dowsing small area’s such as maps. In a nutshell, if we keep uppermost in our minds the need to ask three important questions -Can I. May I, Should I. We should be able to develop, quite subconsciously, ethical boundaries, which we will find very difficult or even impossible to step over. Perhaps I should explain those three little questions. Your ability to dowsing will start with making an association with the rods, you must ask a series of questions every time and see what answer will you get ? What way would you go for the answer yes, if you get a reaction…what way for the anser no…if you get a reaction move on to the next question. Should I dowse on this land ?…be prepared or the answer no, it may be sacred land. Another word of warning, after a few dowsing successes, we may become quite unjustifiably conceited with our abilities. This will inevitably lead to errors. We must remain conscious that humility is absolutely essential and regardless of what our ego may tell us, we are all human with the potential to experience every frailty and characteristic weakness. Like everything in our life, the ability to dowse is a privilege. 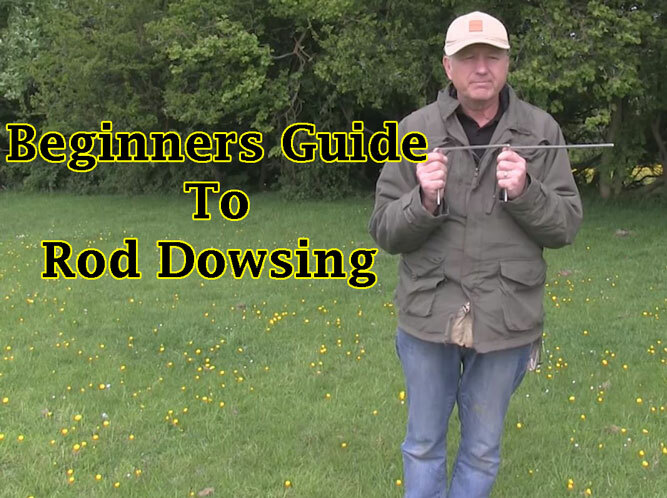 One Response to "Beginners guide Dowsing"
I truly appreciate you making the effort to fairly share this information with us.